If you tweak your old posts to keep fresh for Google, then you could avoid the inevitable demotion of these posts in Google’s rankings. Google likes your content to be fresh, and unless you keep the search engines happy in that respect then your posts will ultimately disappear from the listings. Here are some tips on how to tweak your old posts and get them back up there in full view of potential readers and clients. It is an easy way to achieve high rankings with the minimum of work. 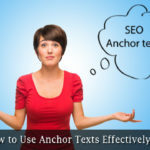 If a blog post has previously appeared in a high listing position for its focused keyword, then it is much easier to get it back there with some simple redecoration than create a new post on the same topic. 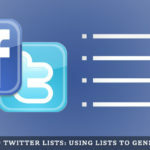 Perhaps your older posts have never been listed, and are unnecessarily taking up room without giving you any benefit. You may be able to rework and freshen these up using your current improved knowledge rather than create a band new post or page. Here are some ways how that can be done! Check how relevant the content of you blog post is in relation to today’s standards. For example, Google Penguin can now spot purchased links a mile away, and dedicated ‘links’ or ‘partners’ pages are now poison to your indexing, let along any ranking position. You should update any posts you have written on this topic pre-Panda and Penguin to bring them into the second decade of the 21st century. Make the necessary changes and publish the modified content. If the content is appreciably changed, you might be tempted to change the title of the post and publish it as a complete new post. Avoid doing this because if you do that, then any links to the original post or page will be broken. This could harm your entire site. If you are simply updating previous content then you should publish it as an update under the same title. Google will decide whether or not to index and rank it as fresh content. Make sure it remains unique content on your blog with no earlier version is still live containing a degree of duplicate content. The best way to achieve this and also maintain existing links to and from the post is to keep the same URL. In other words, make the changes and Update or republish the post. A jaded post can be spiced up with appropriate images. Carry out a copyright free Google Image search for images relevant to your blog post. Also, there are many websites which offers you free images like Flickr.com. You can use Imonomy which allows you to automatically add images related to your content. This is a great way to tweak your old posts. Select one or two related images and upload them to your blog. Don’t just link to them, because you will have a broken image if it is taken down from the site. Link the image to a product, your web page or any other landing page URL you would like your visitors to see. It could be a sales page, squeeze page or simply more information. That one image can attract more clicks than you may believe. 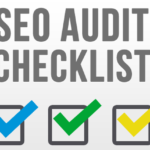 Make sure it is properly optimized for SEO using the appropriate ‘Alt’ and ‘Description’ tags. Your blog post will be much easier to read and more informative if you include informative graphics, not just images. Graphs, pie-chats, flow charts, block diagrams and so on all catch the eye and also help your Google ranking position. There are three major infographics sites: Piktochart, Visual.ly and Infogram. You can get a fee trial of Pictochart, although Visual.ly and Infogram are the best free infographics sites on the web. They are not suitable for all blog niches. However, check them out and give them a try: they will be well worth you trying if your topic can use them. Many people have blog posts they wrote way back before webcams and YouTube became popular. Make a video with your webcam and either publish it directly on your website, or add it to your YouTube account and provide a link to it. Videos definitely help sell products, and they also catch the eye of blog visitors. Not only that, however, because Google responds well to multi-media on your blog post: a graphic, photo and a video will all contribute to a higher raking for your old blog posts. For example, make videos of you changing a wheel bearing, using a quilting machine or baking a cake in place of an old descriptive post. This is the simplest way to resurrect an old post and bring it to Google’s notice. Publish a new post on the same topic, making sure your new content is fresh and in no way duplicates the original. Then add a link from the new post to the old. This not only gives the old post some internal PageRank (or internal ‘linking juice’) but also gets new readers to your old post. Linking theory: You could also add a reciprocal link from the old post to the new, returning the PageRank. It is a fallacy that you lose PageRank by offering links, though it is true that the linking juice you provide is proportionate to the PR of that page and the number of links from the page. So perhaps 10 links from a PR 5 page offers 0.5 points to each link, while 2 links offers 2.5 points. Nobody knows how many points you need to reach each step, though the series is believed to be logarithmic (10, 100, 1000, 10000 and so on.) Nobody but Google knows where PR 1.0 starts! 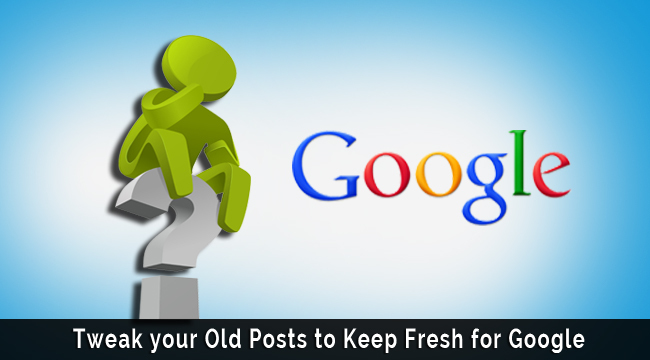 There are ways to tweak your old posts to keep fresh for Google, but make sure you maintain the same title. 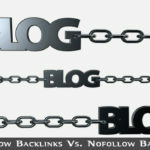 This ensures that any existing links to and from your blog remain intact. Broken links can affect your ranking – not just of the post concerned but of all pages on your domain. The best ways to achieve this include freshening up your content to reflect current trends and adding images and videos to provide what modern blog visitors are looking for. If your old stuff is not worth keeping, then you could update it and use it on your blog as new content or for guest blogging. If you avoid spinning or rewriting your content, each of these options will improve the attractiveness of your site to Google. Tweak your old posts by all means, but do not copy them and submit them as new posts. Simply update the old posts for a better result. This is a great idea to rewrite your old posts, as a result it will make your posts SEO friendly and will keep your blog/domain away from Google Panda update Penalty. I do this once in awhile, I thought about going through some of the older ones that I believe would be helpful and plan to reschedule them or post them as newer blog entries. You should change the date to latest date… but don’t dig and bring the oldest article because the user may think you are lagging behind better to update the previous date. Also, interlinking old posts within the new articles will play a major role in proper indexing of those articles. It works most of the time. These old posts have good page rank, so we can share the page rank to other new posts. This will increase the SERP ranking also. I think ‘Related Posts’ and putting them on the sidebar is the best option to get them noticed.